We continue our series on NASBA’s committees with a look at the Board Effectiveness and Legislative Support Committee. Recognizing that Boards of Accountancy have an increasing need for assistance and support on legislative matters, NASBA formed the Legislative Support Committee in the 2011-2012 committee year. From 2009 – 2011, the Committee was called the Enforcement Assessment and Best Practices Committee, and its charge was to develop a Best Practices state board manual for seeking and managing complaints and conducting investigations, hearings, sanctions and appeals together with dispositions. In 2012, the Committee name was changed to the Legislative Support Initiative Committee, but did not begin meeting officially as the Board Effectiveness and Legislative Support Committee until 2012-2013. The Board Effectiveness and Legislative Support Committee’s current charge is to develop strategies to assist Boards of Accountancy in efforts to improve effectiveness and support the Director of Legislative Affairs in developing an effective legislative strategy. 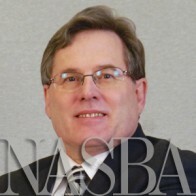 Committee staff liaison John Johnson was hired by NASBA as the Director of Legislative and Governmental Affairs in May 2012 to begin working with the Committee to lay the groundwork for legislative support efforts on behalf of Boards of Accountancy. Before coming to NASBA, Johnson was the director of the department of governmental affairs at the Florida Institute of Certified Public Accountants (FICPA), where he monitored and lobbied for all key legislation affecting Florida’s accounting profession, as well as fundraising for and directing its CPA/Political Action program. Johnson said he believes the Board Effectiveness and Legislative Support Committee is important because so much of what determines the rise and fall of professions depends on the governmental area and legislative process. A huge piece of NASBA’s legislative support groundwork was completed in April 2013, when NASBA launched its online Legislative Tracking System to assist Boards of Accountancy in monitoring legislative bills that affect the regulation of the accounting profession, as well as any amendments made to a bill during the legislative process. Johnson said the Legislative Tracking System is an enormous step in fulfilling the goals of the Committee because it enables NASBA to become that much more nimble and responsive to legislative efforts that strengthen the field, as well as ones that might weaken it. “Suddenly, with the Tracking System, we have eyes and ears on what we need to, which in turn, amplifies our collective voice as a profession when we need to take action,” Johnson said. The Committee is currently looking at ways to further enhance the Legislative Tracking System, including adding a communication function within the system that would automatically notify boards of relevant legislation and allow them to become self-sufficient in monitoring those bills. “We’re also involving the Committee’s ‘Board Effectiveness’ subcommittee to study other tools available to improve the legislative effectiveness of state boards,” Johnson added. To see a list of participating Committee members, please visit the Board Effectiveness and Legislative Support Committee page in the Committees section of this website. To read up on legislation currently affecting Boards of Accountancy, take a look at the Legislation Tracking System.